On a cold Russian winter night, in the heart of Moscow, the owner of the team fondly known as the "Army Men", or for those of you not familiar with Russian football, CSKA Moscow, sat alone in his multi-million dollar home, contemplating his targets for a new manager to take his club forward into the 2013/2014 season. He had watched his Army Men side progress past the EURO cup group stages for the season already, and had watched them also pick up the Russian title, but he now decided that was time for change and a new manager to lead the team to even bigger things. In front of him was a glass of vodka, a report on various managers, and a summary short-list of his managerial targets. While many of the names were familiar to him; Avram Grant, Guus Hiddink, Owen Coyle, and so on; one stood out above the rest as a name unfamiliar to him. King Narl. With sudden curiosity, he flicked through his reports, and found King Narl's. "Manager of Blackpool, first arrived in July 2010", read the first line, "Won the league cup in his first season, beating Blackburn 2-0 in the final, allowing his team to qualify for the EURO Cup 3rd Qualifying round the next season". The owner's interest rose, "Managed to get Blackpool to the 1st knockout round, where his team lost to Sporting CP". Not wanting to dwell on the jargon written by his scouts, he glanced down the page to current achievements/statistics. 1st Season: 14th in English Premier Division, League Cup victory. 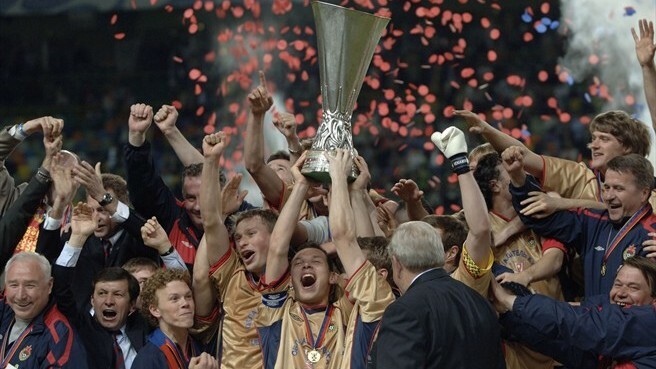 2nd Season: 15th in English Premier Division, 1st Round Knockouts of Euro Cup reached. 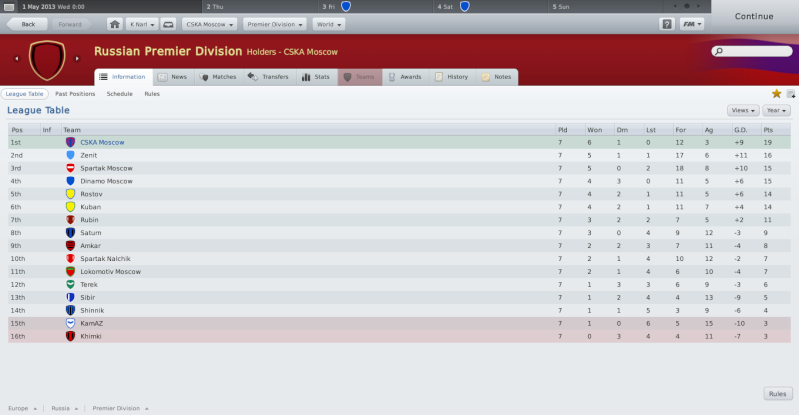 3rd Season: Currently 12th in the English Premier Division, through to the 4th round of the FA Cup. I woke up this morning, feeling slightly disappointed. My Seasiders team had just been beaten by 2-1 at Man City the day before, after battling hard and coming away with nothing. These were the kind of games I knew we had to try and get a point in order to get into the top half of the league and move forward towards the Euro Qualifying positions. I only wanted the best for Blackpool and had made major moves during the summer for Albrighton, Delph, Rafael and Santo. They were performing well, we were through to the 4th Round of the FA Cup, drawn against Man City at Eastlands, unforunately, and 12th in the league. As I was eating my breakfast, the phone started to buzz in my pocket and as I read the number, it was an unknown number, definitely not a UK one for sure anyway. I answered cautiously, "Hello? ", and the recoil as the other voice spoke was probably noticeable to the caller as the person on the other end replied in a broad Russian accent, "Yes, is this King Narl of Blackpool?". Thinking this was another call from those stupid advertising firms, I said in a dull tone, "Yup, that's me". The Russian man replied, " Ah good, this is Vladimir Vasily speaking from Russia. 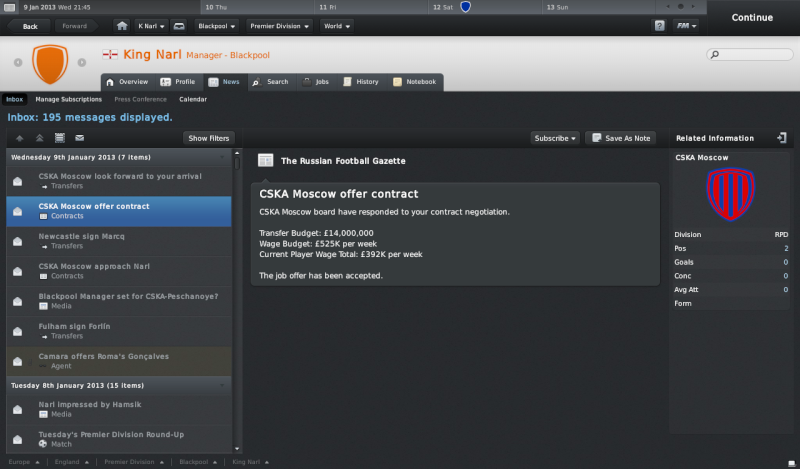 I would like to interest you in the available job at CSKA Moscow". I dropped the phone as I stood in shock. Me, being offered a job at one of Europe's elite clubs. I couldn't believe it. Worrying I had ruined my chances by creating a loud bang over the phone to a man who probably had little patience, I swiftly crouched down and picked up the phone, replying without a thought, "I'd very much like to discuss this in further detail". What had I done? Was I really going to leave Blackpool for the sake of my own career? Yes, was obviously the answer my brain had chosen. The Russian replied, "That's excellent news, my representatives will be flying over to Blackpool tomorrow to discuss details with you about your salary, and then they will bring you back to Moscow for a tour round the stadium and facilities. Don't worry, before you ask, your flights, accommodation and moving costs are being fully paid for by me personally. I am looking forward to seeing you. Goodbye". The next day was frantic, and at times, unbearable, as I rushed through details of my contract with the Russian men who had knocked on my door in the morning. After 2 hours of discussion and lots of thought, I put my signature on the contract to make it official. 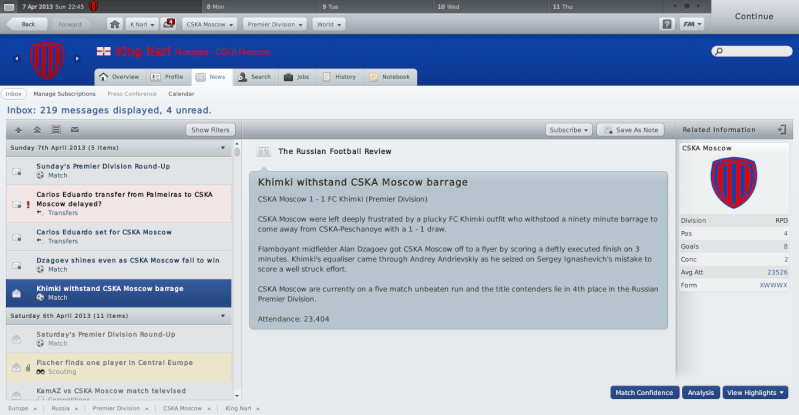 I was the new CSKA Moscow manager. The representatives gave me my flight tickets, and told me that I had a few hours to go to the club and announce my departure to the players and staff, and that they had already spoken to the Blackpool chairman. My visit to Bloomfield Road for what was hopefully not my last, was an emotional one, which I am not afraid to say, produced a few tears. I walked away with sadness in my heart, for the fans had been great to me, and I felt that my job at Blackpool was not entirely over. One day, I vowed, I will return. Watch this space for the next installment in : "The Army Men"
Good luck with this chapter in your career mate! Great start to what will be a wonderful story Very well detailed and I'm looking forward to the next installment, Keep It Up! Cheers for the comments, EF, Tommo and Dan Much appreciated. Good luck with this mate, hope you do well in Russia. One of the best starts to a story i have read so far. Good luck with your new venture i wish you all the best. Waking up to the bright Russian winter sunshine, I rubbed my eyes and slowly yawned, stretching in my complimentary First Class seats Mr.Vasily had kindly paid for. I was beginning to like my new owner already, and I hadn't even met the man in person yet! The Pilot announced for us to fasten our seatbelts; in English, thankfully; and that we would arrive in Moscow Airport within the next 10 minutes. After checking in at customs, I travelled through the various corridors and walkways to the arrivals area, where I was told a driver would be awaiting my arrival for immediate transportation to the "CSKA Peschanoye". I assumed this was their stadium, as I had not learnt a word of Russian since my ordeal the day before. Anyway, sure enough, the man was waiting for me with a crudely drawn sign that read "Wing Narl", I chuckled as I shook hands with the man and walked with him to the car. As I sat down, he told me it would be an hour to 2 hours depending on traffic, and I could take some complimentary vodka from the fridge if I wished. A fridge in a car, "Wow", I thought. Before drifting off to sleep, I took a mental note to buy some winter clothing, it was flipping baltic outside! It was no surprise I had drifted off to sleep, a stark reminder that Aeroplane sleep was just not good enough for my poor body. But, upon awakening a 2nd time in a period of a few hours, I felt more awake than beforehand, feeling in a relatively cheerful mood. 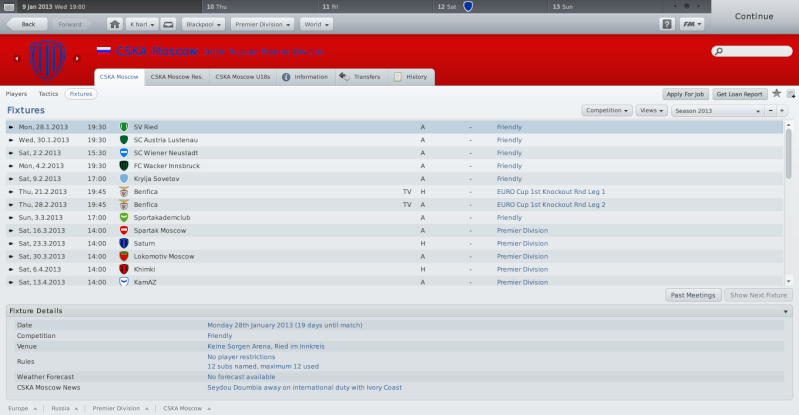 What I was about to see however, was going to make my day one of my best so far as a football manager. The driver announced we were approaching the stadium and as I looked out the front window I saw a truly majestic site. The CSKA Peschanoye was in front, glistening in the bright afternoon sunshine. I let out a gasp of true wonder at the place. Bloomfield Road was a beautiful stadium, but the Peschanoye was truly a sight to behold. For what felt like an eternal blissful moment, we arrived at the front of the stadium and the driver asked me if I would like my belongings delivered to my accommodation. Nodding, with obvious child-like enthusiasm, I thanked the man, and stepped out of the car. Suddenly snapping out of my trance, I remembered that I did not know where I was going, nearly falling over as I spun round to ask the man where to go. To my bewilderment, the man was pointing at a large set of doors before I even opened my jaw to utter the words. I nodded again thanking the courteous driver. 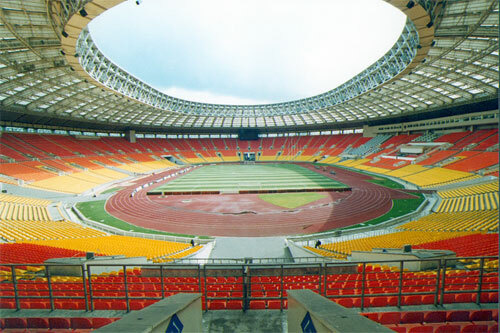 Several hours later, with night approaching, I was sitting in the directors room in the stadium chatting with the owner, Mr.Vasily. He had told me about the legacy CSKA Moscow had in Russia, and how he truly believed I was the right person to take the club into a new era. I had appreciated his ideas and love for the club, and it made me feel at home. He also told me that I was to meet my squad in the morning and that he had financial backing for me already, providing me with a £525k a week budget and £14 million in the transfer window to spend. He also mentioned that my current assistant had provided me with the fixture list for the club, along with details about the players, scout reports, staff reports, etc. I was going to be very busy in the next few days, it appeared. At around midnight, I arrived at my accommodations, provided for by Mr.Vasily. The building I was staying was an elegant luxury apartment block situated 10 minutes from the stadium and 15 minutes from the training ground. Perfect, I thought. Not wanting to dawdle with furnishings etc, and feeling rather tired, I picked up the documents left by my assistant and got ready for some reading before bed. 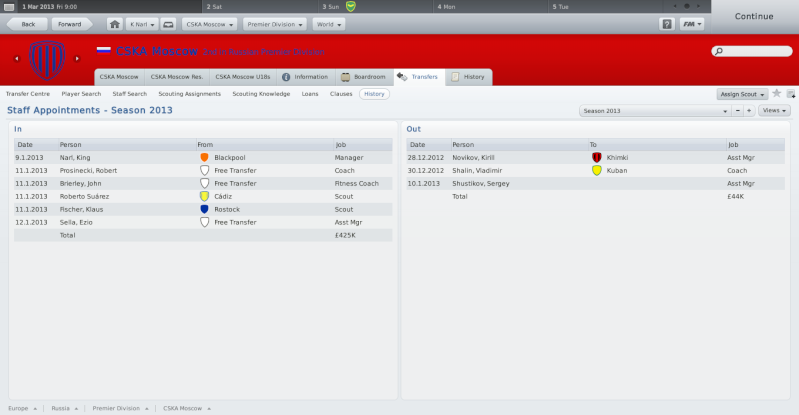 I already had in mind of a few possible signings scouted during my Tangerine days, but I first needed to see the squad. The centre back position was a bit in need of improvement in depth, according the the report, and I definitely agreed. The Berezutskiy brothers weren't getting any younger. My first instinct was to start looking for young players with lots of potential, to add a long-term look the side. After taking a look at the fixtures as well, I decided it was time for bed. The next morning, I immediately set about my business after having a hearty breakfast of coco pops. I met the staff and players and with the help of my interpreter, got to know each one of them a bit. At the end of our "meet and greet" I made a speech about how I felt about the club and my aspirations for CSKA Moscow. They all seemed to like it and I was given a rapturous applause. Good start, then. Although I did not want to have hard feelings between myself and my newly met assistant, I decided to mutually terminate his contract. He agreed, and I apologized and told him I wanted to bring in my own man for the job. He was fine with it, wished me luck and I returned the favour to him as well. He said his goodbyes and left the stadium, after saying cheerio to the rest of the lads as well. A few hours later, I was in my office making phone calls to get in new scouts, coaches and most importantly a new assistant. After a day or two, most of the proposed targets got back to me. So, I could scratch staff off my list of things to do, which I assure you, was quite long. 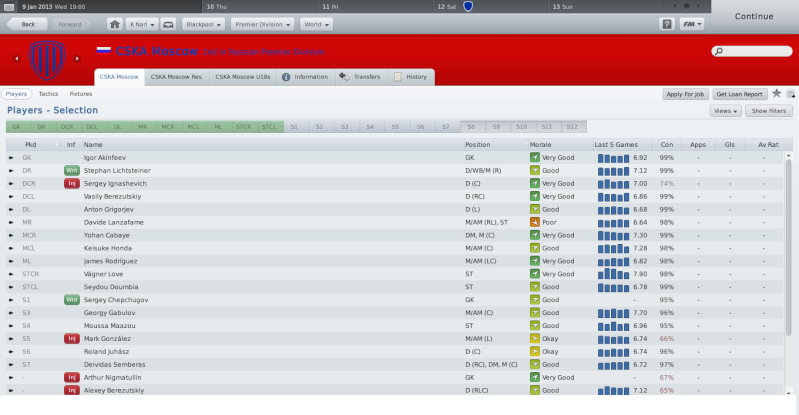 Tactics and training were up next, and after that scouting assignments and player targets. I was surprisingly looking forward to it all, as my passion for football began to overcome my jet-lag and new surroundings. I continued to use the same training schedules as I did at Blackpool, as they were so succesful. An old friend of mine, who likes to be known only as Posh, helped me out with the schedules before I joined Blackpool, so I had to give him credit where it's due. In the case of tactics, I also brought with me my tactics reports/documents from Bloomfield Road, as well as a new tactic that I had seen Roy Hodgson employ with Liverpool whilst I was at Blackpool. A 4-2-3-1 formation with 2 central midfielders. I liked the look of it, so with the vast richness of central midfield talent at CSKA, I decided now was the time to give it a go. 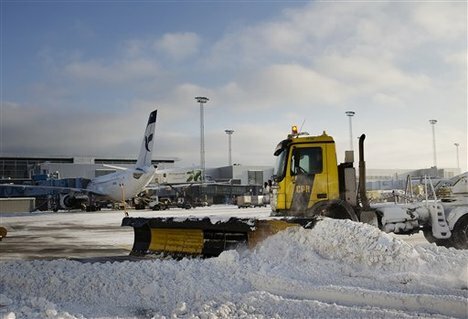 After a week of being in Moscow, I had already picked up a bit of Russian and started adapting to the climate as well. 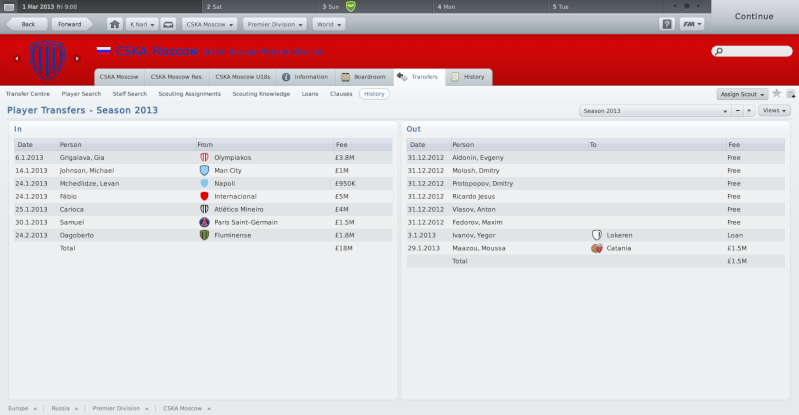 I had sent two of my scouts away to Central Europe and Brazil in order to find new and upcoming talent. After sifting through various reports I had made my move on several players, as well as a few surprise signings that were recommended to me by agents. Out of the list, there were 3 Brazilians, 1 Georgian, an Englishman and a Spaniard. They would be in the same boat as me, having to learn Russian as well. "My new friends", I jokingly thought. 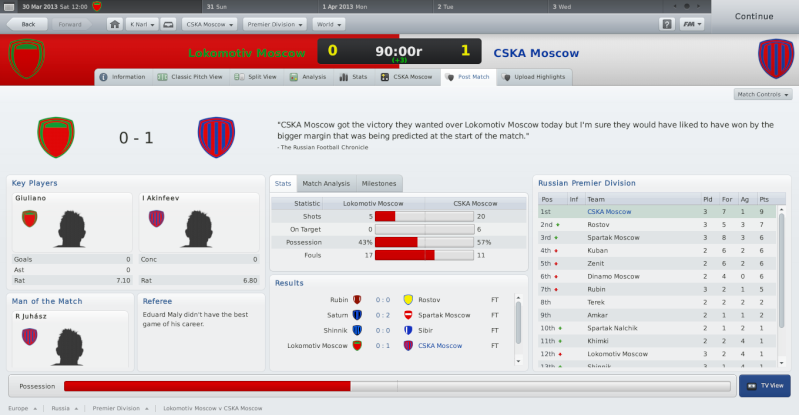 2 and a half weeks after taking the helm at CSKA, my first match as manager was played. A 3-2 away victory against SV Ried. We played some nice football and I was pretty pleased, if I'm honest. The next several weeks went by in a flash, as we played the remaining friendlies before our first competitive game. 4 away wins and a home draw followed our first victory with an impressive 7-0 win away being the highlight. On the 21st of February, we played our 1st leg of the EURO Cup 1st Knockout Rounds, beating Benfica 2-1 with an 85th minute free-kick from Cabaye. The crowd went mental, as did I, as our team secured a first leg win. Exactly a week after the home win, we travelled to Portugal for the away leg. After battling hard, we went out after 2 goals from set-pieces. I wasn't too fussed about it, as we weren't expected to make an impact on the EURO Cup this year. I was disappointed for the players, though, as they had really tried to make a good impression on me during the 2 legs. I congratulated them for their hard work, and assured them that we would come back fighting against Zenit in the Russian Super Cup Final on the 10th of March. With confidence high, the team were ready. Shame about the loss at Benfica but looking forward I hope you teach Zenit a lesson in the Super Cup and then get off to a good start in the new league season. Terrific writing here mate and doing good so far GL & KIU! Wow mate, this is incredible, the quality of the update made me lost with awe and admiration. You can tell a lot of effort and hard work has gone in to this. Well done and keep it up! The aftermath of the Benfica loss was quickly washed away with a 3-0 away friendly win to our feeder club, Sportakademclub. It may have only been a friendly, but I could see that the lad's moral had been boosted a bit, and I was feeling rather confident coming towards our final a week from now, on the 10th March. A Sunday showdown, it had been dubbed by the Russian media. I don't know if that was a mistranslation or for real, as the English media I had known back in Tangerine land had been less, well, obvious with their titles. After a week of training hard trying to get the players confident with their new tactics, I decided to participate in the pre-game press conference to the media the day before the game. Amongst other questions, one popped up that I was hoping would arise, since I was confident that I could use the media furore to gain a mental advantage over Zenit. Mr. Valery Belyakov asked me, "Is a win in the Super Cup of exceptional importance or is it the kind of match you go into without too much pressure to receive a result?". Considering I did not want to upset my own players, and get the Zenit players riled up, I replied with ease, "I would like win it, we're here because of our success and another win will help continue breed a culture of winning." Perfect. 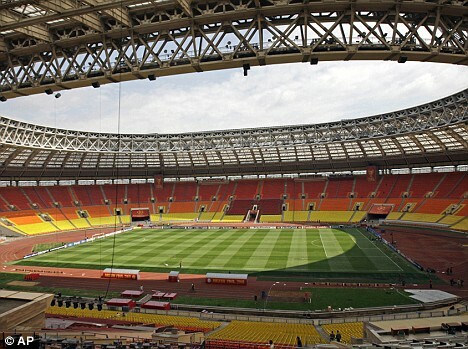 All the pre-match build-up had certainly got the players in a jubilant mood the next morning, and they were ready to get out there and play in the massive Luzhniki stadium. My assistant, Ezio, had told me the day before that there was to be an estimated 77,000 fans packed into the ground, with more than half being supporters of the Army Men. That was all I needed to inspire the lads. I told them to believe in themselves, and play their hearts out for the fans who had come out in such large numbers to support the team, albeit it with the help of a translator. They seemed to understand the message, and we trudged out to the pitch. Game on. Half-time. 0-0. Although we had created chances, Zenit had been on equal terms with us, with a slight advantage on possession. I decided it was best to take a different approach and told the lads that we were just 1 goal away from being crowned Russian Super Cup champions for the 5th time in our history. 47th minute, disaster. Donovan scores for Zenit. I barked stark instructions to my translator beside me on the touchline. He relayed the message across. Attack. 49th minute. 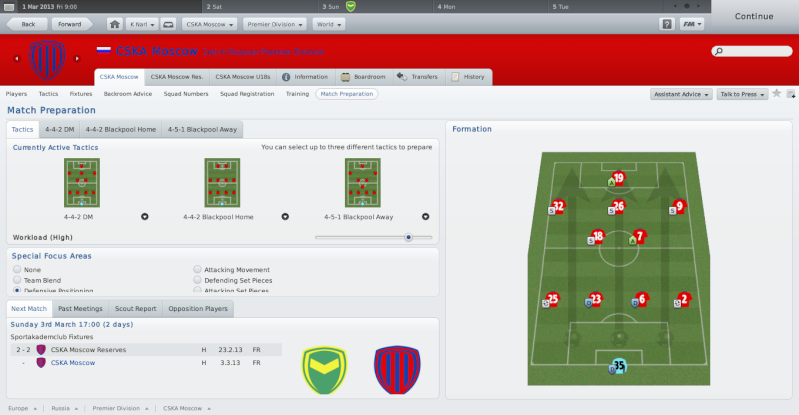 Gabulov was having a bad game at centre mid, so I took him off and went to a 4-4-2 formation. 61st minute. Michedlidze and Gonzalez come off for direct swaps with Vagner Love and Honda. I was hoping these 2 would make the difference, as they were 2 of my most experienced players in the side. 82nd minute. Our attacking pays off, Oliseh's cross from the right wing is headed out to Rodriguez on the left wing, who crosses it back in the box for Honda to tap in from yards away. Get in. 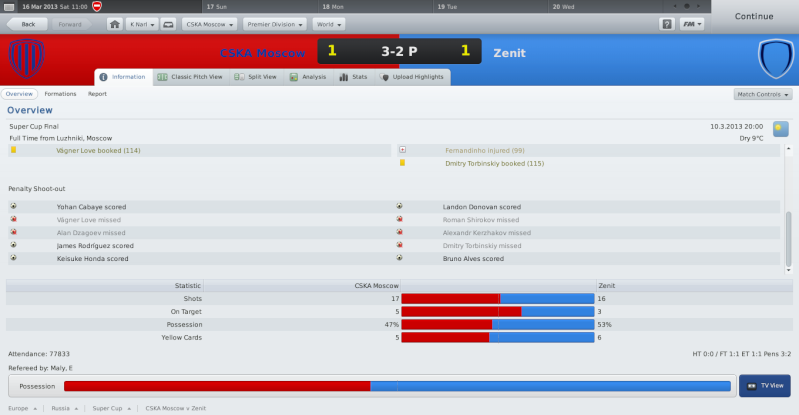 We tried to break down Zenit, but they just wouldn't budge. 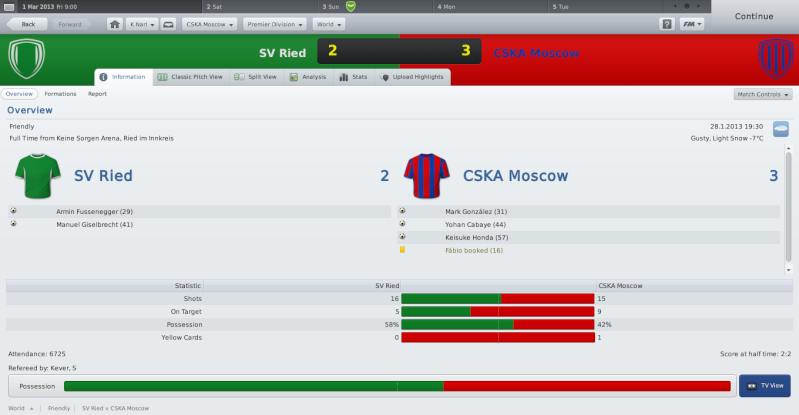 Extra time came and went, and now it was time for my first penalty shoot-out as the CSKA manager, in my first cup final. Although I would not let my players notice, I was feeling a bit nervous about the occasion, as penalties were always a lottery in football games. However, I did not let that cloud my judgement. I picked Cabaye, Love, Dzagoev, Rodriguez and Honda to go for the first 5. Donovan, Zenit's goalscorer, was up first and he made no mistake as he fired it into the net. Cabaye replied with equal ferocity, 1-1. Shirokov took the next one for Zenit, however, Igor Akinfeev made a great save to keep it at 1-1. Vagner Love, prolific goalscorer for us then let the pressure get to him as he shot wide. A sudden twang of nervousness crept over me, as adrenaline started to pump through my body. Up next for Zenit's 3rd penalty was Kerzhakov, who proceeded to miss the net, the crowd went mental as did the players. In reply for us was Dzagoev, who shot into row Z. This was an emotional rollercoaster that was lasting a life-time. After 3 penalties, the score was 1-1. Zenit's 4th penalty was another miss, as I started biting my nails... up next for us was Rodriguez, the young, but talented, 21 year old Colombian left winger. There was immense pressure on the lad, but he didn't let it get to him as he rocketed the 4th penalty into the next for us. 2-1 to the Army Men! Bruno Alves was up next to keep Zenit in the game, as he composed himself for the run-up, I was dripping with sweat, and let out a groan as Alves kept Zenit in the tie, 2-2. Honda was up for us. He could win the match with this final strike. I took a deep breath as he took his run-up... time seemed to stand still as his feet wrapped around the laces of the ball, producing a slow,drawn out thud as it sailed through the air... and SCORE! I literally jumped for joy as I ran towards the players, calling my staff with me, as we flooded the pitch. The fans in the CSKA section were going mental, as was I. I knew this moment would be the one thing in my career I would look back on and tell the grandkids about. My first cup win as the Army Men manager. Wow, was all I could think. Wow, wow, wow. Awesome stuff mate and a joyous read as always there mate, great work! Congrats man. Isn't winning a game in penalties so thrilling. The next morning, I awoke with a headache, and a breath smelling of a cow's bum, to put it lightly. What I had got up to after the win against Zenit in the super cup, I could not remember, nor did I want to, judging by my headache. Life at a football club was a 24/7 job, so soon after getting up I went to our Monday training session. The players were in a great mood after the win, and training was a joy. For the rest of the week, in fact. Our first league game of the season was on the Saturday after the Super Cup final, and it was to be played against fierce rivals Spartak Moscow away. Both myself and Ezio were truly amazed by the performance our team displayed on the pitch, coming from behind to win 3-1 in the 2nd half. 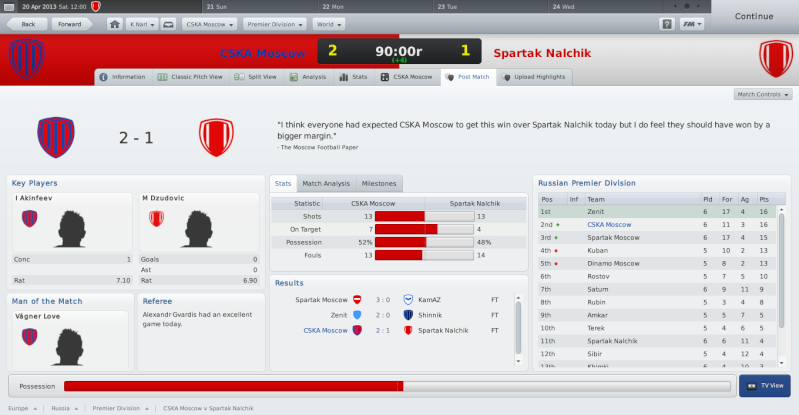 Spartak Moscow were no pushovers with players such as McGeady, Paulo Henrique and Welliton. A brace from Love helped us on our way to a dominant win against our rivals. The whole club was in a joyous mood after successive victories, and the future certainly looked bright for my first season in charge. The month of March ended with a perfect 3 league victories to start off the campaign. 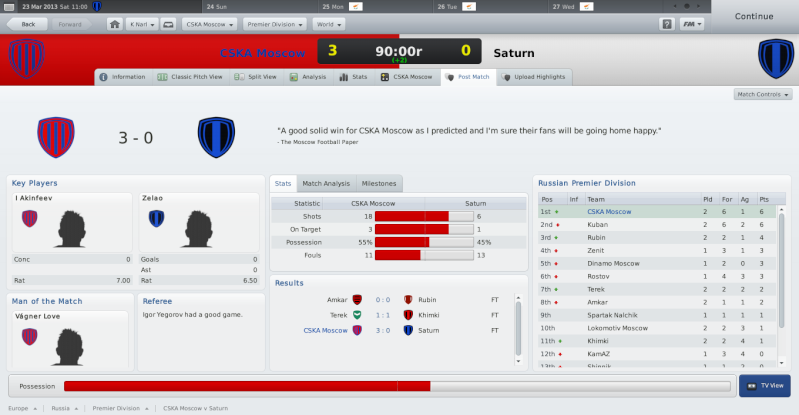 The 3-1 win at Spartak was followed up by a 3-0 dispatching of Saturn at home and then a dominant, yet frustrating 1-0 victory away to Lokomotiv Moscow. 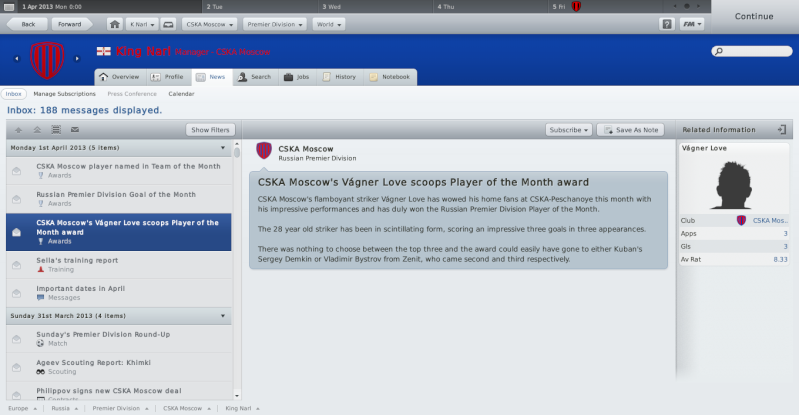 Vagner Love deservedly was award the player of the month award for March, as he not only impressed me but also the Russian press. April flew in, with 4 more games in the league played. First up was a home game against minnows Khimki. Somehow they managed to stop us from winning, and I was somewhat disappointed with the result, 1-1. Straight after the game, I was faced with more disappointing news, as we had to cancel our move for Brazilian Carlos Eduardo, a 5 star potential player. However, there was a silver lining, as I realised our squad was perilously close to the limit with foreign players in the first 11. We needed more Russian players, not foreign ones. I made a note of this on my computer, and I was intending on investing in young Russian talent in the next transfer window. The next 3 games followed, with 9 points to play for. 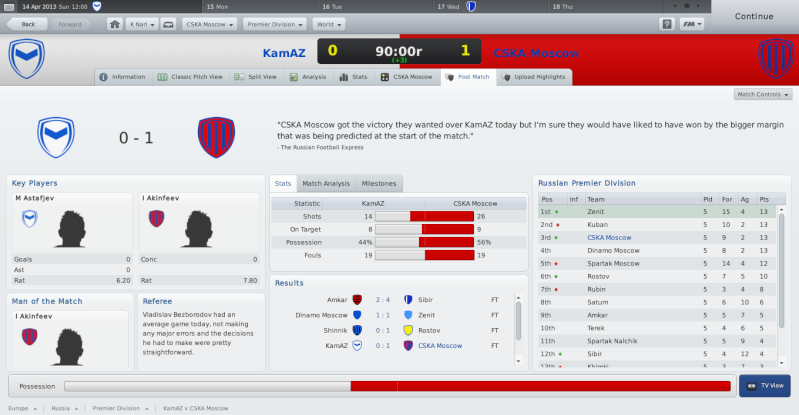 The 1st game was against KamAZ away, a relatively tough fixture. 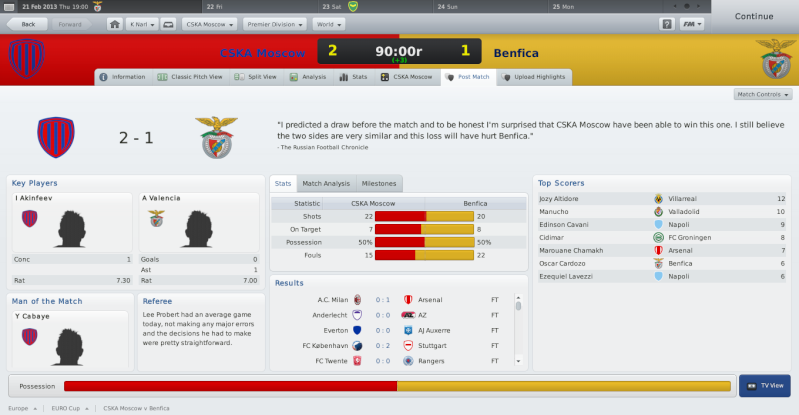 I knew the lads could win it though, so I told them so, and we came away with the victory, 1-0 though. A close call. 3 points in the bag. The 2nd game was against Spartak Nalchik at home. We won the game 2-1, and another 3 points were in the bag. The final game. Could we take away the 3 remaining points at Russian giants Rubin? With the confidence the team were playing with, and the great run of form we were on, I had full belief in the lads to get a result here. And they did not disappoint me as we beat Rubin 1-0, a great performance against a strong side. До следующего раза... Until next time... When you shall see if CSKA can keep up their league form as they head into the next transfer window. An awesome update here Narl, you seem to be cruising here. 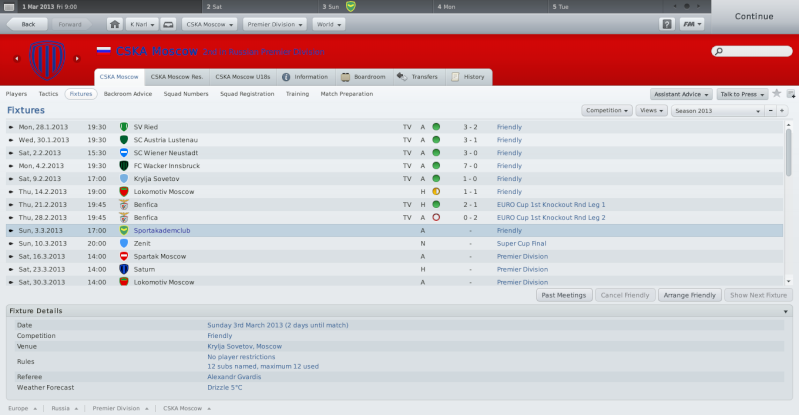 Brilliant wins against the rival Moscow sides, and a great away win at Rubin Kazan. Excellent work, and I can see you being Champions this season . Great stuff. Let's all hope that your unbeaten run will continue just like Manchester United!